As anyone who has done long-form narration (especially audiobooks) knows, the amount of editing afterwards can be time consuming and tedious. Different narrators have different methods of marking their flubs during a session: a light clap, a snap, a mouth noise I call a "snick,” or most effective, a dog clicker (you can get these at pet stores for a few bucks). Whichever method you use to mark these spots during a session, you still have to go through your files afterwards and remove your mistakes, sneezes, and tummy gurgles. This subtracts money from your bottom line. For years audiobook narrators have utilized a process called "punch and roll” recording. In a nutshell, this process allows narrators to stop the recording, play a few preceding seconds, then pick up recording (punching in) for a seamless transition. This eliminates the need to go back through files upon completion and before sending to a publisher. Here’s the catch - this nifty little method works mainly in Pro Tools. If you already record with Pro Tools then you’re golden, but if you don’t, you’re usually out of luck. For years I have used a less robust method of punch and roll recording with Adobe Audition. It involved snipping out my mistake, then beginning recording immediately after the last sentence. This allowed me to submit seemingly punch and rolled files to publishers, but didn't give me the "true" punch and roll experience. I have found that using punch and roll recording pares your time spent on audio books by at least a third. Enter the amazing world of scripting! Here's how to simulate punch and roll with a great little scripting tool called AutoHotKey. Fasten your seatbelts, AHK is a very powerful program and can be intimidating, and we'll only be scratching the surface of its capabilities. Note – the following is written with Adobe Audition 3.0 and Windows 7 in mind. With slight variations, this should work for all versions of AA and Windows. Also, these instructions assume you are recording in Edit view on a mono track. First, we'll set up a few keyboard shortcuts in Audition to make the script easier to work with. 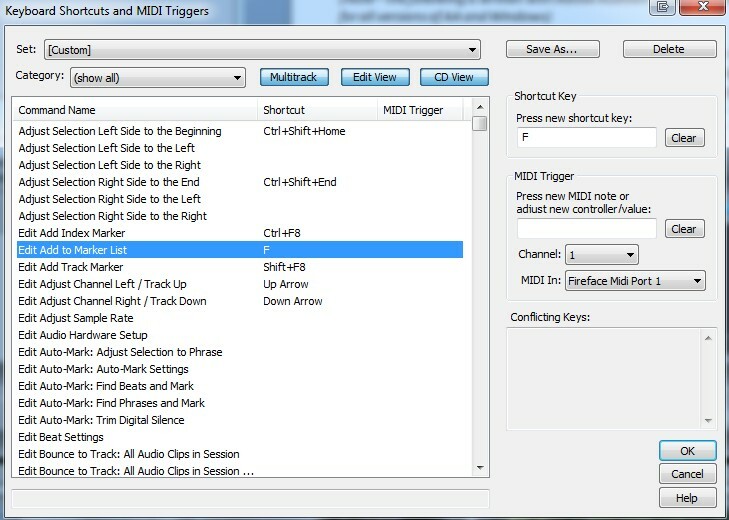 In Audition: go to Edit -> Keyboard Shortcuts and MIDI Triggers (or hit Alt+K). Find the "Edit Add to Marker List" command and set its keyboard shortcut to F.
Find the "Play Preroll and Selection" command and set its keyboard shortcut to R (if you're having trouble finding this command, look under the "Transport" set in the Category dropdown). Go to Options -> Preroll and Postroll Options. 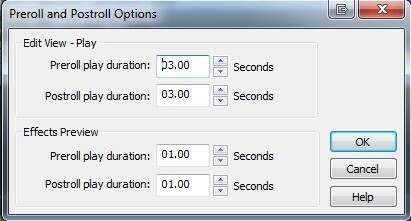 In the first box: Preroll play duration, change the value to 3 seconds (03.00), or however many you would like. This will be the length of time Audition will play back before you punch in. If you're interested in the geeky details, read through the tutorial here: http://www.autohotkey.com/docs/Tutorial.htm. Now we'll create a script. Open up a new text file using Notepad or your favorite text editor. Name this file "punchandroll.ahk" and save it somewhere memorable in your computer. The "ahk" ending is important! Save the file and run it by double-clicking the icon. You should see a little green icon with an "H” in it in your task bar. You can also set it to start whenever your computer starts up by placing a shortcut to it in your Startup folder. While recording in Audition, when you make a mistake or flub a line, stop the recording and position your cursor before the mistake (or wherever you want to punch in). Here's what's going on: the first line, ahk_class, identifies the program to be controlled. Upon hitting Ctrl+R, it will select from the cursor to the end of the file, delete, and drop a marker. Then it will engage Preroll, playing for 3 seconds. 1 millisecond later it will start recording again. 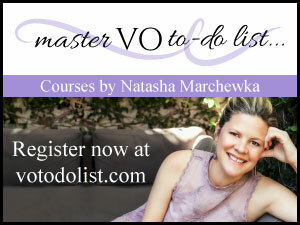 As you get used to the timing you will be able to pick up narrating seamlessly. AutoHotKey can be used to automate lots of other tasks, as well. I use it for keyboard shortcuts to start all my commonly-used programs, as well as additional functions within Audition. Next up - a script that will record my auditions for me while doing the laundry! 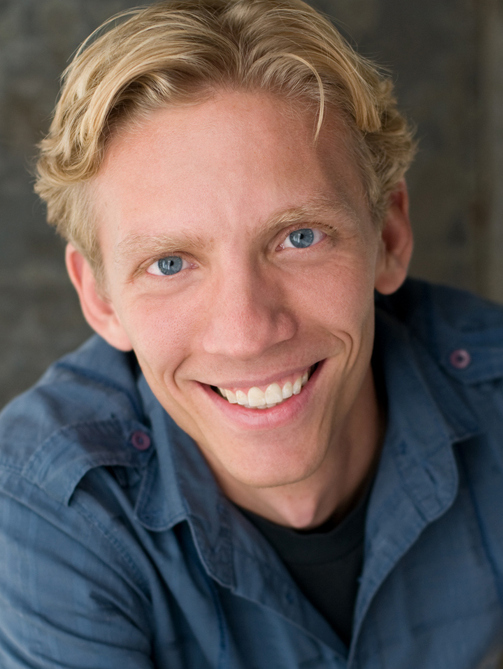 Adam is a full time voice talent and audiobook narrator - currently working on his 68th audiobook title - based out of his own studio in Chicago. His commercial clients include McDonalds, Gillete, HP, Winterfresh Gum, Miller Beer and Kodak. I notice that this advice and thread is terribly dated, beginning in 2012! For those just now linking to it and finding no help, may I recommend you use the free version of Studio One DAW and do a search on Youtube for guidance on how to set up punch and roll. Works beautifully without all the hocus pocus described here. Adam, excellent contribution! I tried it with Audition 3 and it works perfectly, but I'm going crazy to do it in Audition CC 2014. I'm really desperate. I would appreciate very much if you could help me. Thanks in advance. Hi kids! When we try to use this, the pre-roll happens, but then jumps ahead about 1.5 seconds and goes into record. Help! Hi everyone! We LOVE that AA 3.0 can do automated punch-ins. However, when we followed your instructions and try to use it, we get the pre-roll, and then it jumps ahead about 1.5 seconds and goes into record, making it sound not very acurate. Any fix for this? Just got this going, and it is brilliantly simple...but I'm running it on Vista, which may be the cause of my one problem. The playback stops almost a full second before the recording starts at the cursor...a little disconcerting but I can probably get used to it, but is there a fix? Or something I'm not seeing? I set the playback for 5 seconds instead of 3 (personal preference) but it did the same with 3. I put 5 in "Edit View Play, Pre/post roll duration" as well as the "Effects Preview, Pre/post roll duration" being a cyber-idiot and not having a clue what those did! Thanks for all this information. I am having a bit of difficulty getting this script to work however. When saving my AHK file, does it need to be as unicode or ANSI? Simon, have you had success with this in newer editions of Audition? The menu options Adam mentions don't exist in CS5.5 or CS6. 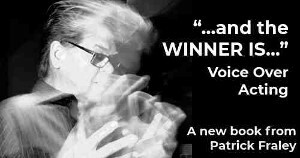 I have just got into voice work seriously, although I am professional storyteller for 10 years and have done three CDs of some of my work and occasional radio work. I am using Presonus Studio One and LOVE IT! It has features that allow punch and roll. Because of this article and one on Pro Tools, it made me look for it in Studio One. Found it! Great tool, and no scripting needed. It also allows you to loop and do several takes and then break them out into different tracks to listen and see which is your favourite. I have been struggling with punch and roll for the very reasons Adam said at the beginning for some time, and now it seems it will be easy! I hope! Thank you for this! I was able to adapt your script for Sound Forge 10, and it works like a champ. This is a nifty tool, Adam, and with a little practice it seems to provide quick and seamless punch-and-roll recording. I have one problem with it, though. I often use my computer-based Kindle to narrate books. When I hit Ctrl+R with Kindle open, recording does not occur, and the Kindle reader advances one page! I am using Adobe Audition CS-6 for my narration recording and am really confused as to how to use the punch in feature to help quickly "rewind" and record again... I understand earlier versions of Audition didn't include this punch in feature, but now CS-6 does? Is the aforementioned AutoHotKey still something that would be as useful in this version of Audition? Or just unnecessary? Thanks much! I just upgraded to CS6 - I wish Adobe would have more articles geared toward book narration like this one! Anyone who has narrated a book knows the amount of clean-up time is tedious.Thanks much Adam! While researching for an article I am writing about quick-punch, I found Adam's blog post. It's a brilliant little hack using scripting! I've managed to do a similar thing with TwistedWave, but it's not quite as foolproof. I do see now that Adobe CS6 has a proper quick-punch function, so those of you using CS5.5 will want to upgrade to CS6 for $75. Thanks for posting something on this, Adam. I've been looking for this solution, but unfortunately I also have CS 5.5, and since it appears Adobe removed this preroll/postroll functionality (why!?) I'm at a loss with getting this to work. If you have CS 5.5, is there any way you could take a stab at this again? I and a I'm sure plenty of others would be eternally grateful! Basil, Zach, George, Ruth: sorry, I can't help too much with CS 5.5 :( I would need to fiddle with it for a while and write a different script, but I don't have it in front of me. There is most likely a way to get it to work, though - there are multiple was I could have written this one to work in 3.0. AHK is Windows-only, as well - though I'm sure there are scripting utilities for Macs that will do the same thing. I'm also looking forward to hearing how this great tool might be adapted for Audition CS 5.5. To make matters more interesting, I'm on a mac. Could adapting the script be as simple as changing Ctrl to Cmd in the code? Thank you so much. Brilliant use of scripting, Adam! I look forward to attempting implementation on a Mac using TwistedWave. Thanks so very much for this helpful article! While I've not tried to implement it yet, I will be doing so at my first opportunity. 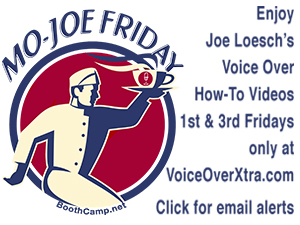 I have also passed it along to the operations manager at my 'day job' (NPR affiliate radio station), who also immediately recognized its significance & usefulness for all on-air talent who need to combo their own spots (as Audition is the house production software). Your article is very clear and sensible- I can clearly see what I need to do- kudos to you for clarity! In all honesty, it's likely that I'd not have even considered this (keystroke scripts & hotkeys- of course!- brilliant!) at this stage of my knowledge of Audition (rudimentary to dangerous), or even known that I could even do this in Audition! Thanks for helping me to move up the learning curve- so appreciated! Trying to set this up, but am wondering if this is not an option for Audition in CS 5.5. There is no options/preroll and postroll, that I can seem to locate. Any advice? How generous and pragmatic of you! (No surprises there...) I'll watch this space should anyone update with more Sound Forge-related reponses. Oh I did it! I actually figured this out myself after I had to adjust one of my Audition Effects settings to enable preroll and postroll settings, so THEN I could put in the shortcut on my transport settings. 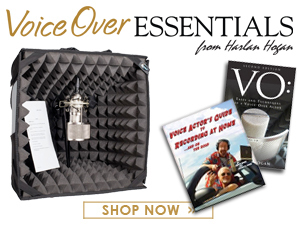 This is going to be of enormous help in making my VO work run more efficiently. Also thank you Mr. Kafer for helping me to poke around my AA 3.0 program. Donna - in *theory*, this type of method should work in SoundForge. I'm not familiar with the program, but it should be possible to write a similar script to do a similar thing...you'd have to play with it. Awesome info! Very easy to follow instructions and works great! Thanks! Great post. I just finished recording my novel, One Woman's Vengeance. I can't imagine the hours it would have saved me. I plan on practicing the above so I have it for future recordings. Thanks for sharing this tip, Adam! You managed to explain how to accomplish this without geeking out to the point that my left brain leaves the building (my left brain is very small and timid). Wondering if this will work with SoundForge?